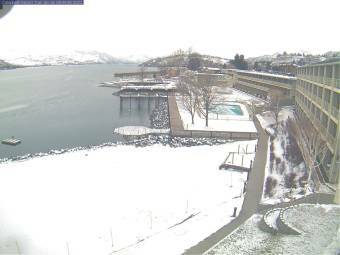 It's 10:24 in Chelan, USA right now. Lake Chelan Panorama view of Campbell's Resort on Lake Chelan. Manson, Washington: Wapato Point, Lake Chelan, 6.6 miles away. Wenatchee, Washington: Pangborn Memorial Airport, 32.1 miles away. Winthrop, Washington: Sun Mountain Lodge, 44.2 miles away. Skykomish, Washington: Skykomish Airport West, 62.6 miles away. Easton, Washington: Easton on I-90 @ MP70.6, 68.3 miles away. Seven Bays, Washington: Columbia River, 78.1 miles away. Diablo, Washington: Diablo Dam, 78.8 miles away. Republic, Washington: Downtown Republic, 81.1 miles away.